Singapore Car Servicing: How Important Is It To Change The Black Oil In Servicing? How Important Is It To Change The Black Oil In Servicing? 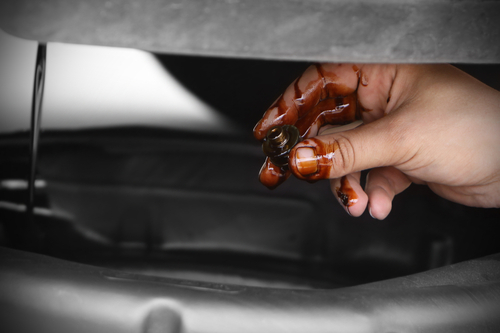 Oil is a critical component in motoring. Not only in regular motor vehicles, but also in other assorted types of machinery such as trucks, tractors and lawn mowers. This is the reason you will notice the car drivers in Singapore marking their notebooks after every 3000 kilometers. Servicing is the routine maintenance of the car where crucial components including oil, spark plugs, and other car components are checked and replaced. Other aspects of the car that have fallen out of shape are fine-tuned and restored. What you need to know is that changing the black oil is the easiest thing that you can do to extend the life of your car engine. 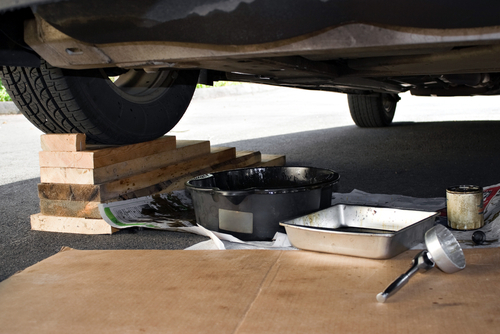 Drivers who fail to change their oil in due time have found this to be a costly affair. 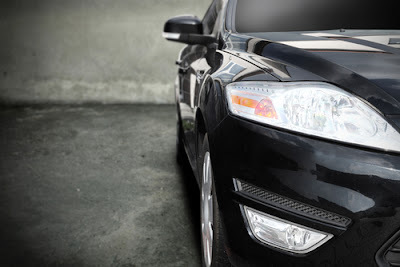 Interestingly, it is such a simple process that can save you lots of time if you are prompt and serious about your car. When your car is designed, the manufacturer sets out a time interval within which the car has to be serviced for it run safely and efficiently. Typically, car most manufacturers set distance not less than 3000 kilometers as the time-distance interval that determines when you should take your car for servicing. If you subject your vehicle to tough conditions, then you can take it to the mechanic as often as you like. You do not have to necessarily stick to this schedule. The difference in service time among manufacturers is due to the variations in the engine, transmission, and mileage. Of course, if your car is still under a warranty cover, you must be extra careful not to violate the conditions set in the agreement. One of these conditions includes the distance set for service, which if violated renders the warranty null and void. Those vehicles that are not covered by a warranty have much more flexible schedules and the garages have designed their customized services. They include interim service, major service, full service, oil change, filter change among others. Continued usage of the car results in increased friction of the engine. Consequently, your vehicle slows down as moving parts fail to work at optimum levels as they used to. Replacing the dirty black oil is going to restore the car function and reduce this friction. Whereas the friction cannot be eliminated (friction is also important for movement), it can be reduced, and you will get better mileage for every liter of fuel. The running of the engine results in accumulation of dirt particles and other kinds of debris. Despite the fact that filters are present and it’s their primary function to trap such dirt, depositions are bound to occur. Such accumulations of debris eventually wear down your car engine. Taking your car for service means that your engine will be checked and such depositions removed. Filters and oil go hand in hand. So, changing the oil implies that the filters will also be changed. You have experienced it. Ever had a car with dark fumes blow the exhaust on your face? Well, it not only smells bad but is also a nasty experience. Besides the discomfort that it causes, it also emits harmful fumes into the environment. You guessed it right. The black, unchanged Oil is the culprit. Singaporean authorities are also on the lookout for such vehicles that have a high level of toxic emissions. Imagine that such small problems can have you pulled over and made to pay fines for an issue that could have been rectified easily. Fresh oil is going to reduce the carbon footprint that is emitted into the atmosphere. If you desire a smooth ride, then it all happens in the engine. Your car engine has to be well lubricated. Brand new cars are much quieter than their old counterparts for good reason. Their engines, pistons and other moving parts are well lubricated. However, after prolonged use especially with a negligent driver, the engine starts to wear off, and all kinds of noises start to emerge. So, for a silent engine, just eradicate the black oil and you will have smooth trips. The engine ceases its normal function as a result of wear and tear. Yes. Every system that is subjected to friction has to wear off at some point. The car engine is no exception. Instead of watching it all happen, you could just change your oil as frequently as possible. Even though your engine wears off, the rate at which this happens is substantially reduced. An extra two years added to the life of your car translates to a lot of savings. Every extra month that you have your vehicle at optimum performance is worth every oil change and servicing. Car owners that have been in the business long enough know that there has been a dramatic shift in the way cars use oil. Previously, oil had to be regularly changed after few kilometers. However, that scenario is quickly changing. Today’s drivers can go a little longer than they used to before without having to worry about changing the oil. The reason for this is that engine development has improved, and the ones being produced right now are better off in fuel burning. They are so efficient that very small depositions of sludge and debris occur. Additionally, oil technology has improved and we now have oils that have detergent properties. As such, when oil moves in the engine, the dirt, sludge and debris are picked up by the oil and are removed during servicing. The problem arises only when the sludge and the contaminants have risen beyond a certain level. You could have an oil test carried out on your vehicle, but that is inefficient. The best thing is to simply follow the manufacturers’ guidelines on the time-distance that you should have your engine checked and the oil changed. Most of today’s engines use the multi-grade viscosity engine oil. This kind of oil has a different viscosity at various temperatures. When the engine is cold, the oil is less viscous; hence the engine will start more easily. When the engine is hot, the oil is more viscous, and the engine is protected for optimum performance. Forget about the 3000km rule. With these advancements you can change your oil after an extended period, but only if you are using the modern engine oils. Ultimately, you should not let your oil become black until it is no longer functional.